The visiting GWR 0-6-0ST 813, built in 1900 by Hudswell Clarke for the Port Talbot Railway Company. 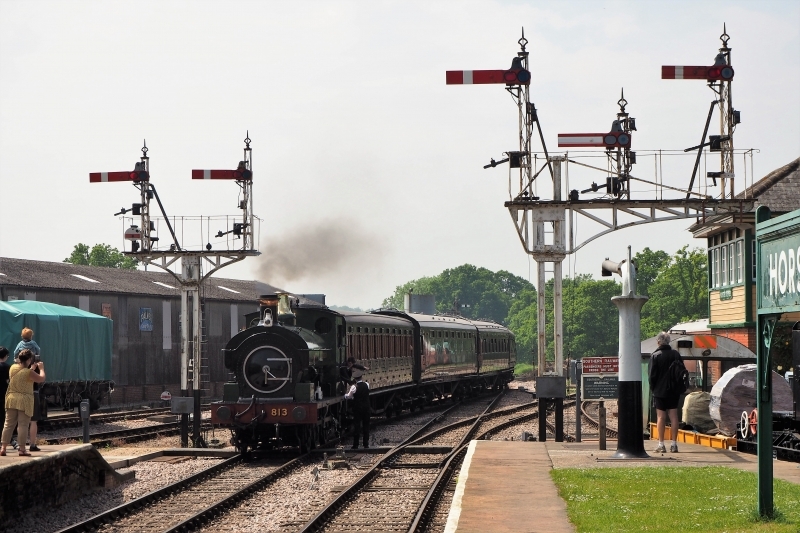 Horsted Keynes, Bluebell Railway, 26 May 2018. Having stared at the Branch Line Weekend the previous week, it had stayed on for the Bank Holiday weekend to stand in for the unavailable Tornado.